and play the violin whilst doing it. You travel around doing it. How do you do it? On one of these ofcourse!!!! 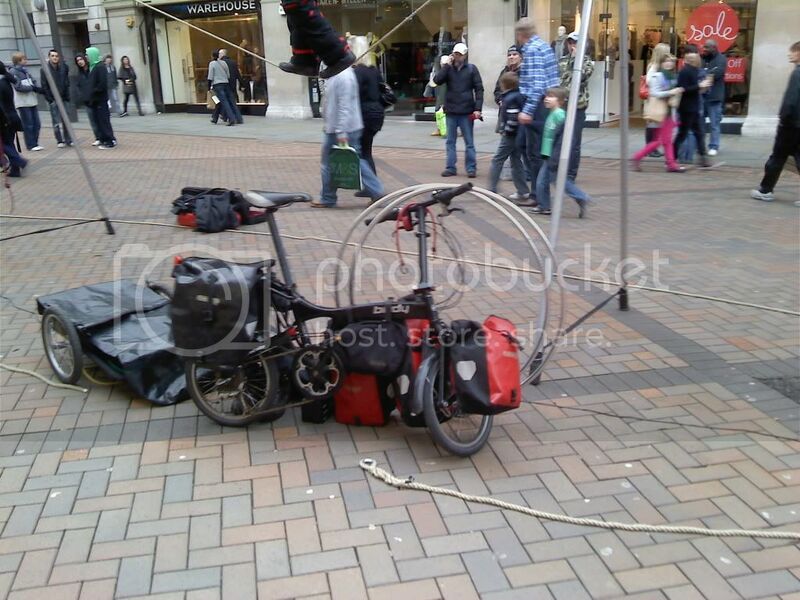 Saw this in town on Saturday, soon as i saw it i looked at the bike, then saw the person standing on the rope. A Birdy? How apt for him. Not as good as the now sadly departed and completely barking Xylophone Man. Nottingham has not been the same since. I used to have him as my picture on another forum. The guy was amazing. He did an interview, which was an interesting read. Take it you live/lived in Nottingham then? The Xylophone chap lived in a large house in Rud IIRC and he was actually quite a rich man, used to have his own building company or something before he made friends with the goblins and pixies. Why doesn't the frame collapse ? I could see it working if each end had a triangular brace on the ground apex pointing away from the tight rope and then a cable running from the top round the brace and along the ground and back up the other end but the setup in the picture seems held up my magik. The supporting ropes disappear out of the picture but you can see them, under tension, at each corner of the frame. I think it's just one rope. Anchored low down at two ends on convenient street furniture, then the two cross braces are being used like washing line poles supporting the rope in the air. That's an old mate of mine, Kwabana Lindsey, on the slackrope. 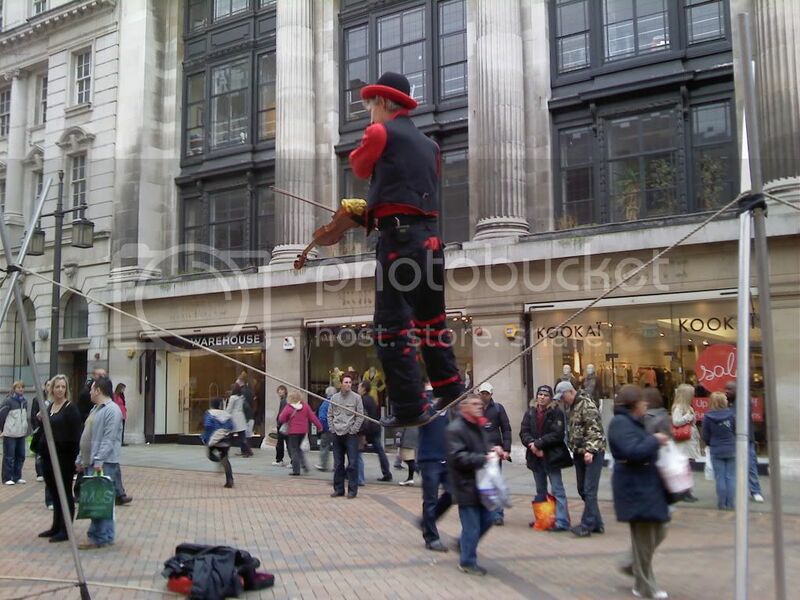 Unlike a tightwire, which is under great tension, the slackrope can be fixed to a couple of trees or lamposts, or just held by few (trustworthy) people.